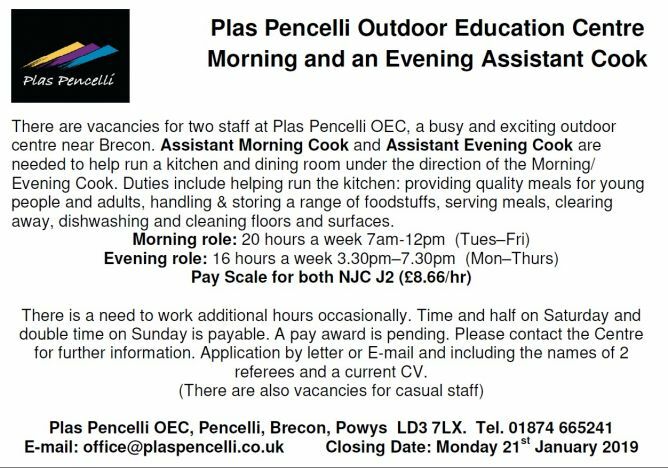 Plas Pencelli is large outdoor centre located on the edge of the Brecon Beacons in South Wales. 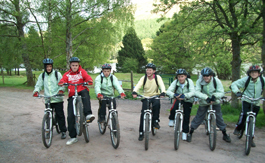 We offer a large range of traditional outdoor activities from a friendly and homely base. We specialise in providing tailor-made outdoor education courses for schools and other groups, such as colleges and youth centres. We have the facilities to cater for large groups, having almost a 100 beds. 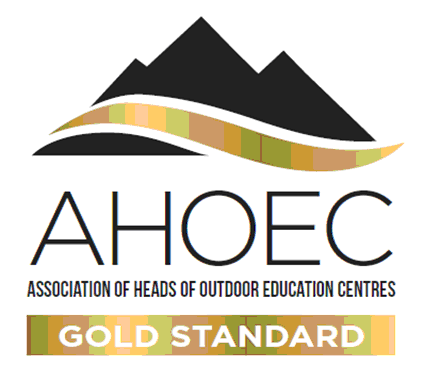 Established for over 40 years, the Centre offers top quality outdoor programmes that are highly respected within education and the outdoor activity sectors. 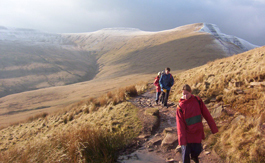 Our aim is to provide opportunities for young people to participate in outdoor activities, whether focusing on personal development or the environmental sciences. Owned by Swindon Borough Council, we welcome non-residents to attend our courses and use our facilities. We also offer many other types of experience for a full range of users. National governing body awards for aspiring leaders, specialist courses for young people and adults and development training opportunities for professionals. What ever your course, we aim to provide a more adventurous experience to a high standard. We use many challenging local venues including vertical caves, the Gower coastline and quality local white water rivers such as the Usk and Wye. We also provide self catering facilities, camping and equipment hire for those who like to do their own thing. 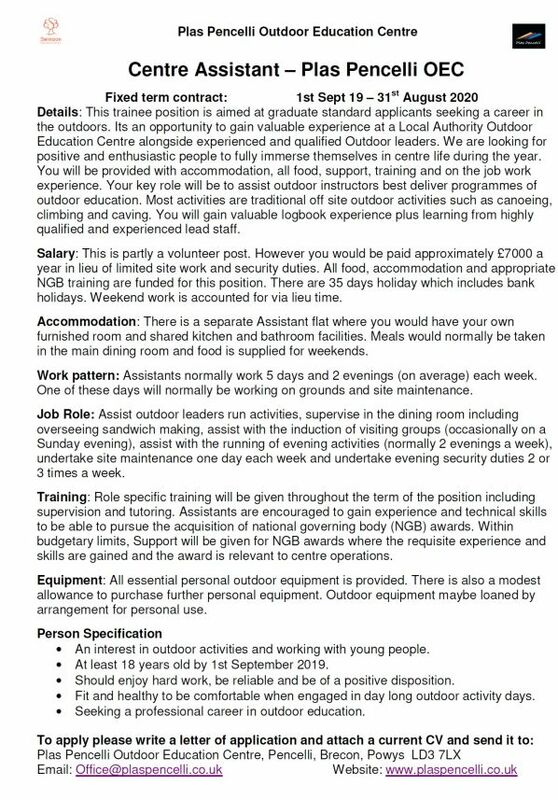 What ever your aim in the outdoors why not contact us to discuss your plans. 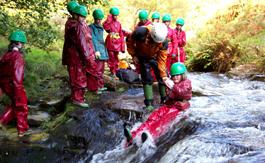 Plas Pencelli provides programmes of Outdoor Education that make a unique and powerful contribution to each individual’s broad education and development. 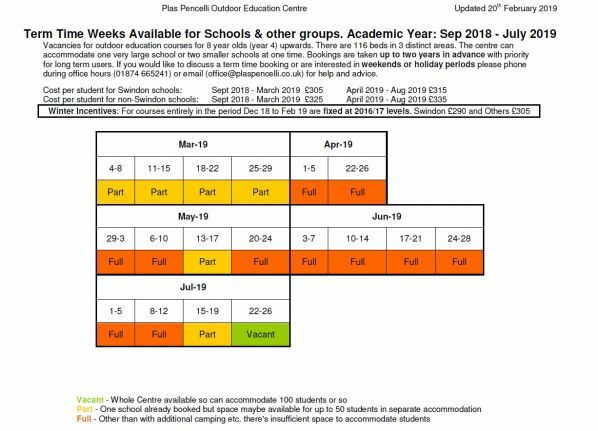 Using a variety of instructional methods adapted to a range of individual learning styles within a challenging environment each course also focuses on many specific learning objectives within the National Curriculum. In particular the disciplines of Citizenship, Physical Education and Personal, Social and Health Education are particularly well visited. Achievement is centred on 4 main areas: personal development; relationships; social skills and appreciation of the natural environment.